Hey lovelies… Nice weekend? Hope so! i’ve had quite a nice one! just made (and ate) a beautiful quorn curry and now im just settling down for the evening with a cold Corona…. pretty sweet! Bow: taken off a handbag that i once wore to a wedding… handy as its just what ive been looking for! Wedge Booties: Dorothy Perkins about a year or so ago. 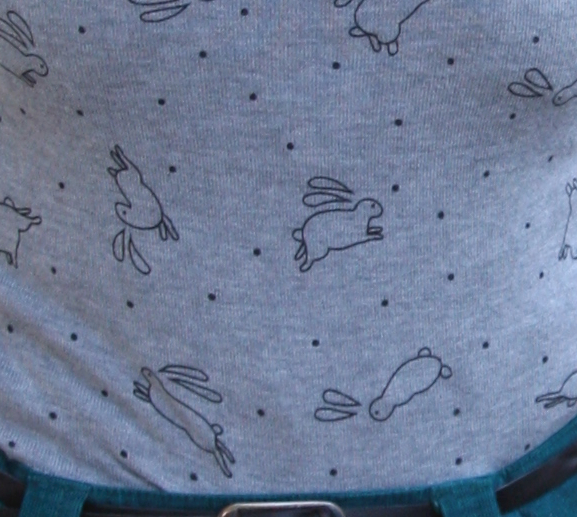 so folks… these are the bunnies and the bow. 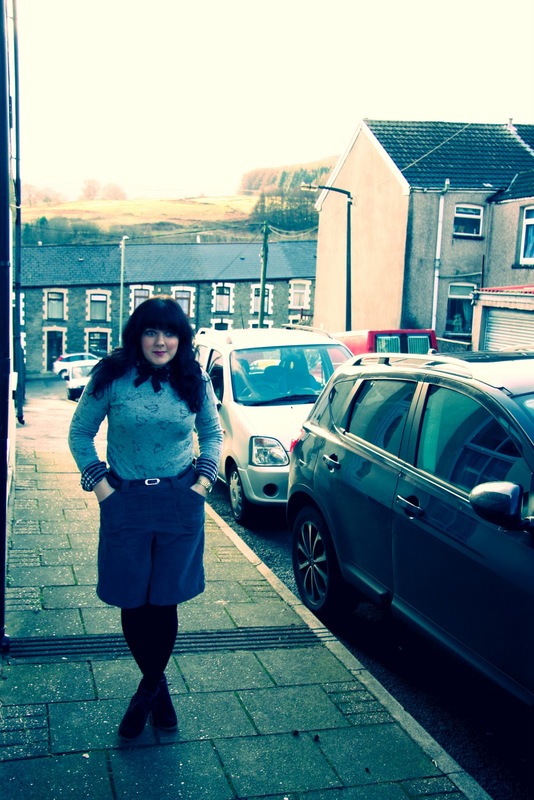 I love this jumper, it comes out every winter now and it still makes me cheery. This is also an attempt at pattern mixing, something i admire on others but very rarely do, so i’m dabbling in this area.. how did i do? 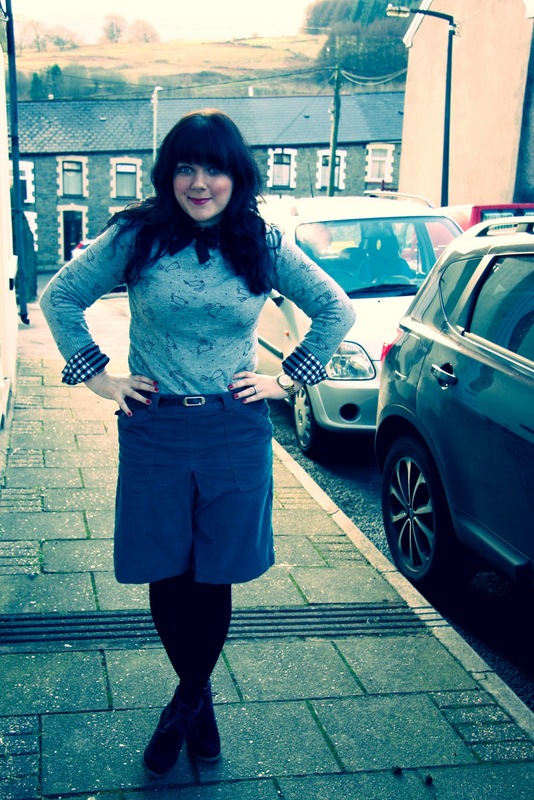 Funny, i wore this outfit, minus the jumper, a few months a go and hated it… the skirt gave me a mum tum (ok it didn’t give me one, i already had it, but it totally emphasised it which made me and my mum tum sad!) But i wore this to the shops yesterday and loved it! funny, the bunny jumper made the whole thing come together for me. So on that note lovely people i will love you and leave you..
We’re about to watch some Dynamo… have you guys seen him? You tube him if you haven’t (hes a magician for those wondering) Seriously, he blows my mind! incredible! Ps, Ive got some lovely awards to show you but i keep bloomin’ forgetting!! someone give me a poke and remind me!! 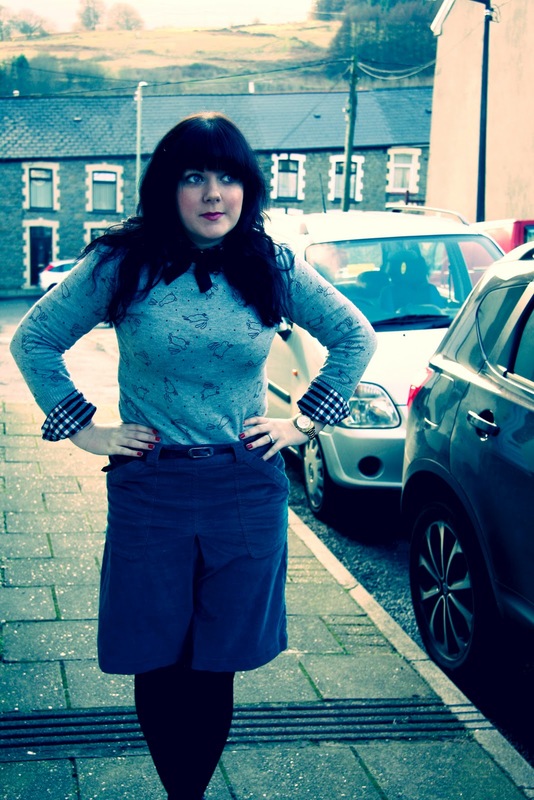 Next Post Raspberry, Teal and Ponies! Loving the whole layering. The colour of the skirt has to be one of my favourite. Hope you are feeling ok soon. Your hair looks fine to me. thank you for your comment i really appreciated it! How cute is your jumper! I totally understand about the mum tum lol. Love the recycled bow – genius! 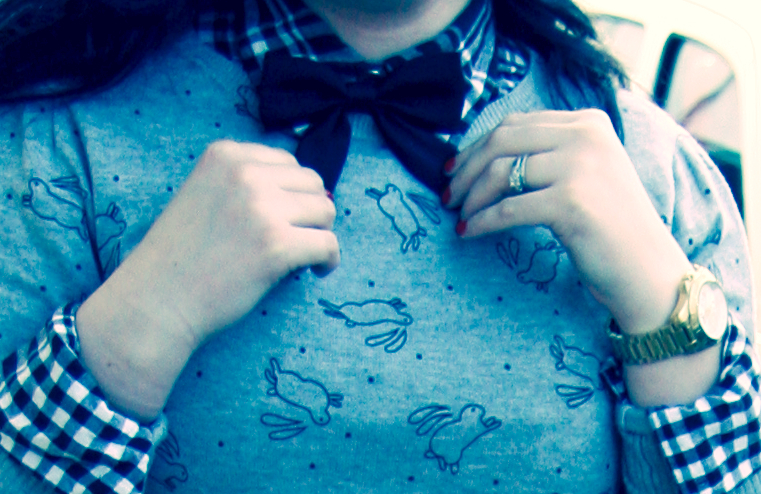 bunnies, bowties – are you not like the cutest thing ever?! i can't believe you're apologizing for your hair – the first thing i thought when i saw these photos was how great your hair looks. sorry to hear about your neck though. i hope you heal up soon! That shirt/jumper combo looks great! Love it! 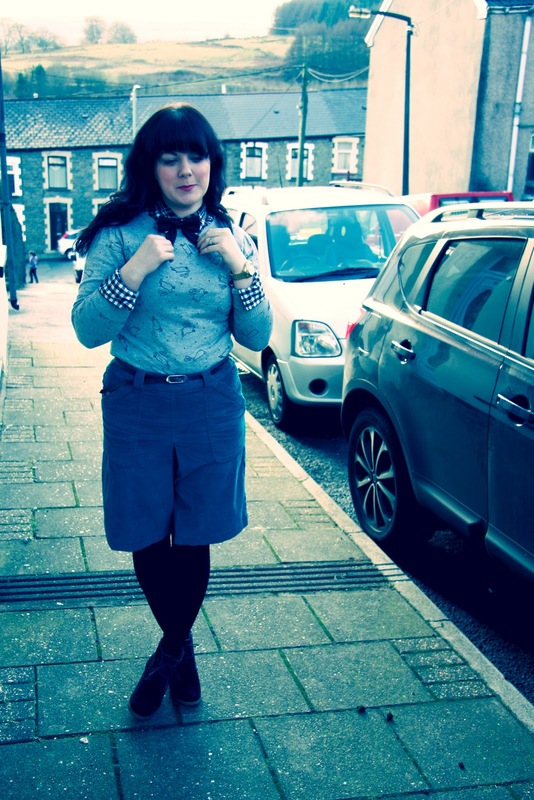 Adore the print mix of gingham/bunnies…really darling look! I'm making curry tonight, tasty stuff, yes? That jumper is sooooooooo cute! Love the bow tie too! Mmmm I love curry! And I love your sweater! Wow I love your sweater. 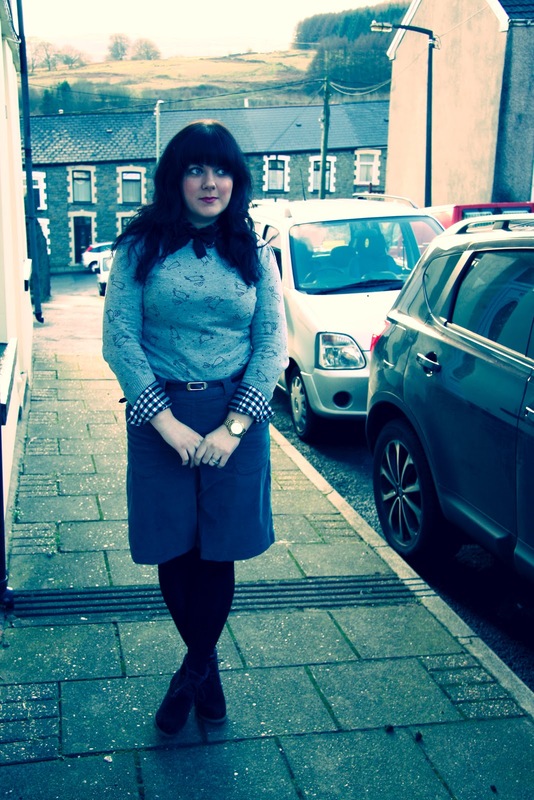 Love the outfit, so retro and fab. Thank you for popping by, Whats New Peg. How cute is that jumper?! So many animal print tops/jumpers making an appearance this season, I love it! Thanks for stopping by Blush. 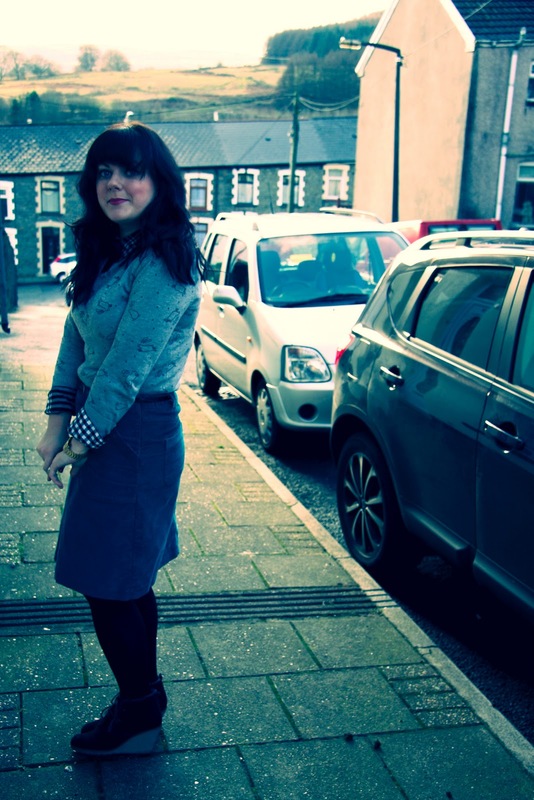 I've added you to my blog roll so other people can come and visit your blog. I'm a huge fan of your eclectic style! It's perfection. I adore your hair! I wish I could pull off bangs the way you do!